We are at that time of year where those in charge of deciding what to do for the corporate Christmas event are gearing up for the festive period. 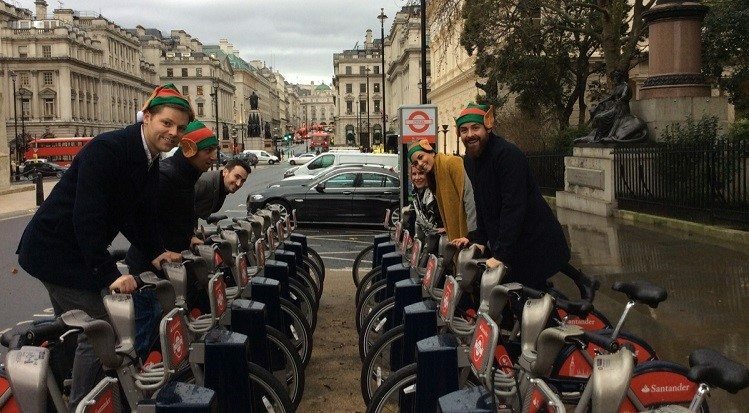 With several venues and events already sold out for the busiest 6 weeks London experiences, it isn’t too late for the team at Team Tactics to organise unforgettable corporate Christmas events this year. Join us for the liveliest party in town, aboard your very own mobile party venue. The London Party Bus is fitted with everything you need for an evening of entertainment in the best city to celebrate Christmas. Enjoy an exclusive trip around the capital stopping off at iconic landmarks for fantastic photo opportunities. Built with entertaining in mind, the Party Bus boasts two floors of party space while the karaoke, DJ booth and fully stocked bar (including champagne and cocktails) will complete the sparkling celebrations for an unforgettable party experience. Just tell us where you would like to be picked up from whether it is a station or your offices, the party atmosphere will begin as you board the luxurious Party Bus. Join us in a central London location and treat your taste-buds to a luxurious chocolate and cocktail making workshop. Arrive to a glass of prosecco and double dipped chocolate strawberries before the hands-on workshop begins. We all know the festive period has an element of indulging in luxurious food and drinks so why not learn how to make them for yourself? Our expert Chocolatier will guide the group through the creation of several chocolate truffles including vanilla and praline ganache. Learn about the mouthwatering recipes and everything there is to know in the world of chocolate before our mixologist perfectly complements the afternoon with a delicious cocktail masterclass. Create three festive cocktails and relax in an afternoon workshop of pure indulgence. Extend your workshop by offering guests a buffet and make this the perfect corporate Christmas event. Team Tactics has designed the perfect treasure hunt in central London throughout the November and December period. Teams are each given the latest iPad mini and are tasked with exploring the most intriguing parts of the capital in a race against the clock to score as many points as possible. Crack clues, answer general trivia & location based questions and complete entertaining photo challenges. Teams must keep an eye on the live leaderboard to see how their colleagues are doing and to make sure they answer as many questions as possible to be crowned the winning team in the prize giving. To add a festive twist to this already popular treasure hunt we have included tons of fresh Christmas questions and of course a selection of comical Christmas hats for each team member to wear. 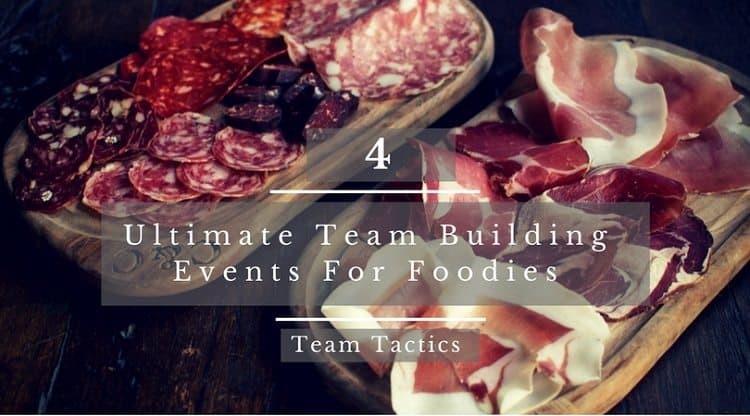 Combine this with a festive lunch or dinner and you have fantastic way to celebrate Christmas with your team. The world under one roof, this unique corporate Christmas event uses the latest iPad minis to allow teams to complete an exciting Festive Journey Around The World. Set within any spacious venue, this indoor treasure hunt transforms rooms into different nations from around the world including Italy and Lapland. Fun trivia questions, photo challenges and interactive tasks ensure all team members are engaged and enjoy their intriguing 80 minutes. It is a race against the clock to complete as many challenges as possible and keep an eye on the live scoreboard as you visit different countries. 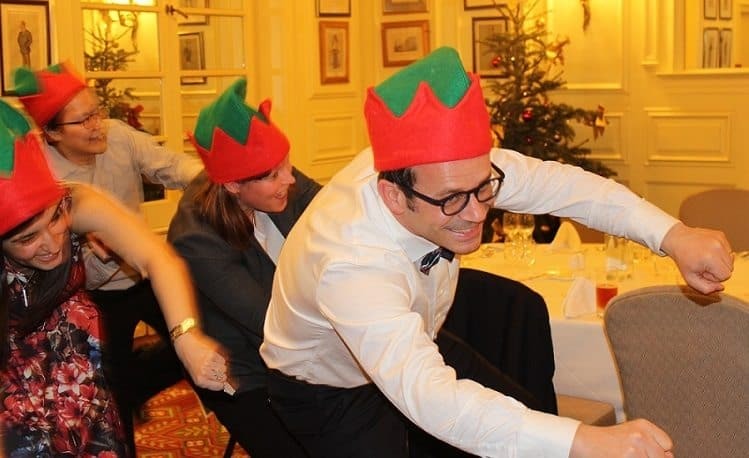 This is a fast paced activity designed to put you through your paces but most importantly to provide some festive entertainment to a Christmas event. If you can’t find what you are looking for check out our truly unique selection of festive ideas for your next corporate Christmas event.